Modern, central hotel, 20 minutes from East Midlands Airport, with discounted car parking off site , Free Wi-Fi and a 24 hour bar. 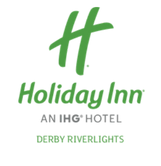 Holiday Inn® Derby – Riverlights offers a convenient location right in Derby city centre, only a 15-minute drive from the M1 motorway. 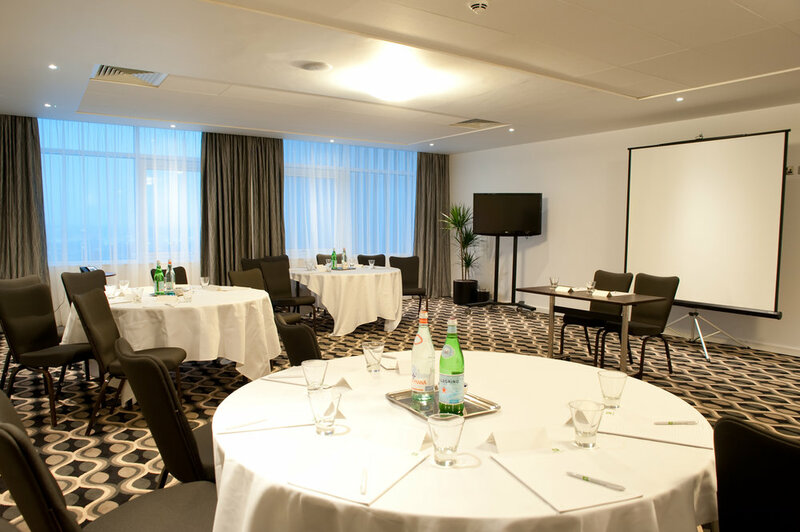 The hotel is a 10-minute bus ride to Derby train station and its direct 90-minute links to London. Attractions like Alton Towers are a mere 45 min drive away, while you can take a day trip to Calke Abbey, a baroque country estate 25 minutes’ drive from the hotel. For lively drinks in the evening, walk to the Cathedral Quarter five minutes away.